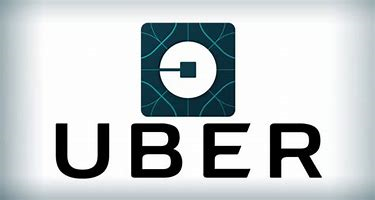 CONSORTIUM FINANCE NETWORK: Uber: Ready for an IPO? Uber: Ready for an IPO? Now valued at over $60 billion, Uber has several issues to address before it decides to do an IPO. In the industry that is called ride-sharing services, Uber, despite having to address reputation risks the past year, is the preeminent brand name. In the industry of investment banking, Uber is the cherished prospect, the next big blockbuster IPO on deck. As an established "unicorn," a venture-capital-supported enterprise with a billion-dollar-plus valuation, Uber is "next up." Recent computations, based on the company offering new stock to investor groups and employees this year, value the company at about $60-62 billion. Market watchers, analysts, and hungry bankers await its decision to go public. But don't hold your breath. While the company is next up or next in line, it has a long list of thorns to address. On paper, Uber looks ripe for an IPO. The business model is familiar, and competitors have jumped in, if only to reaffirm the growth and establishment of an industry. The brand is globally known. Revenues have grown at a steady pace. The company is old enough now to contemplate investments into other allied services (Uber Eats). Annual earnings and cash flows continue at deficits, but the IPO world acknowledges that losses by the millions (or tens and hundreds of millions) don't thwart IPO planning. Like many IPO candidates, losses and cash-flow deficits are explained by required expenditures and costs to support marketing and expansion. New companies aspire to get to where they need to be and go far as fast as possible, before competitors and copy-cats catch up. Like dozens of other IPO-aspirants in the last generation, Uber promises costs will eventually be contained. Or costs will eventually handily covered by towering levels of revenues. Uber's path to an IPO is progressing in slow motion. Too much needs to be addressed , including a renewed polishing of the brand. Last year's forced ouster of its founder, Travis Kalanick, was step one. Step two was to hire a strong, credible, market-facing CEO who could assure potential investors (and Uber customers) the company was committed to cultural shifts in its ranks. While the new CEO, Dara Khosrowshahi, whose transportation-services experiences go back to his Expedia days, has addressed the culture problem, continuing reports of isolauted problems surface now and then. So what about the IPO? Now or later? Is it ready? What are deciding factors? One major investor, the Japanese firm Softbank, making a statement of confidence in new leadership, upped its stake to $9 billion. In IPO analysis, while initial years of high costs and investments drown revenues, the long-term story is about growth: Is it possible? From where will it come? How will it come? And will early experiences of growth lead to even larger growth percentages in the years ahead? The oft-told story projects one of scale, expansion and growth. Get large, get out there, get bigger, and make a mark before competitors imitate. But is it just that--a story of wishes, dreams and luck, or one of disciplined, rationalized expansion? Can the company and its cadre of bankers project revenue growth accurately and propose a realistic plan to control costs? Uber acknowledges losses and negative cash flows, but argues (as most young companies do) that costs are necessary to support a strategy of global expansion and its contemplation of expansion into different, but necessary businesses. Expansion also means broadening its mission from being a basic ride-sharing service to one of providing other products and services (not just rides) to a larger customer base that will--in the blink of an eye--dart off to competing services or other innovative companies if Uber doesn't respond to or care for them. The company has no obligation to broadcast financial performance to the public, but it provides quarterly highlights, if only to prove performance and perhaps prepare for the time when it must disclose greater amounts of financial details as a public company. Revenues are growing; the bottom line indicates big annual losses (about $4 billion in 2017) and occasional quarterly gains (as in early 2018). Uber knows it needs to respond to them definitively and aggressively--without delay. They include management and culture issues. Legal issues abound everywhere and consume a substantial amount of expenses--today and likely regularly in the future. Just as brands are built to legendary, storied levels, they can slip overnight--because of smoldering reputations unrelated to finances and business models, a result of mishaps behind closed doors or mis-statements in the board room. Uber's brand sits on such a precarious perch. Over time, Uber and its banking corps must decide whether a new, different ride-sharing business model could supplant it. It must face off against competition. Lyft, most notably. Competition surfaces as taxi systems around the world arrive to the 21st century or as populations decide commuting and walking are better and environmentally friendly. Could regional services (companies choosing to operate only in smaller locales) become its biggest long-term competitive threat? Competition will push the company to consider "reinventing" itself now and then. Change, reinvent, or die. Uber (with UberEats and its audacious dreams to make self-driving and flying cars) has already charged down that path. Its formal name, moreover, is not Uber Ride-Sharing Services, but Uber Technologies, Inc., indicating in Google- and Apple-like fashion, that it plans to evolve as necessary, while offering a basic, ride-sharing core product. Uber, arguably, is in the legal business, as it confronts regulatory bodies and lawsuits from every corner of the globe and as it pays gobs in legal fees to address these issues. It is also likely aware that regulation (unforeseen new laws, new rules, new restrictions) can sprout from nowhere to crush its business in certain regions. As it prepares itself to be a public company, the drive to generate stable, sustainable cash flow from period to period will define its existence. In 2018, the company might generate positive cash flow from time to time. That positive flow, however, might be due from a sale of investment or a sale of an operation as it retreats from a certain region (China). Positive, but not yet predictably stable. As a young company funding itself predominantly from equity investments, shareholders understand dividend payouts are not on the horizon. As a public company, shareholders in years to come will later begin to require dividend handouts and require the company to have "turned the corner" toward a predictable flow of operating cash. Investment banks are paid to advise the company issuing public shares on the proper valuation of the business, including total market value (market capitalization) and share price. If Uber is worth about $60-62 billion today, what will it be worth when it launches its IPO, and to what extent will investor interest and stock supply-demand dynamics influence the issuing price? Bankers, traders and market analysts attempt to determine the right timing. Uber might decide the best time is next year. 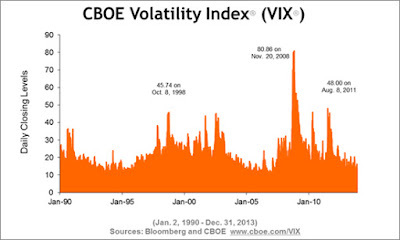 Market forces and trends often have the final say-so. Following the business model of a sharing economy (one where the business requires minimal investment in fixed assets, because it piggy-backs off the collective fixed assets of tens of thousands of individuals), the company should operate with a somewhat simple balance sheet. Minimal amounts of infrastructure and fixed assets imply the company in its youthful years can grow without amassing piles of debt. Debt burdens force the company to hurry up to generate cash flow to pay interest and principal on the debt. Ongoing accrued expenses (legal expenses, promotional expenses, research expenses, etc.) will continue to be a significant balance-sheet liability. Plant, property and equipment should be nominal and includes business offices (if the company doesn't lease) and technology systems. Long-term debt is not necessary to finance warehouses, branches, and structures (beyond technology support). Debt, however, might be necessary to fund annual cash-flow deficits, if equity-investor cash hasn't done so sufficiently. Debt also might be sourced to finance small, intermittent acquisitions. For companies riding a surge in growth, acquisitions become part of the business model. Acquisitions will also be done at prices above book values of the target company and will add to increasing amounts of intangibles on the balance sheet. IPO proceeds, hence, could deliver billions in cash reserves at levels permitting the company to endure the few years ahead when operations will continue to yield losses. While it contemplates a public offering, its bankers and board have already contemplated what business life will be when there is a stock trading everyday. Everyday becomes a new scorecard day, where the market provides an opinion of the company every hour every trading day. As for financial disclosure and earnings projections, public-company status vaults Uber into another league. Revenues, costs, earnings and cash flows will be analyzed, scrutinized, and dissected. Management, strategic decisions and the company's response to public opinion will be second-guessed. The company will be expected to explain and rationalize costs and investment spending. Activists will squeeze themselves onto the agenda and insist on participating in strategy or even boldly require the company move in different directions. Venture-capital investors and early-round supporters may likely have reduced their holdings to insignificant portions and may no longer provide a supporting voice. 1. The business model has worked. It has required tweaks and attracted competitors. Consumers understand it and have flocked to it. 2. Competition all around the world is evident and is capable of undermining growth and its path to profitability. 3. Long-term stagnant growth (always possible) is why the company is investing in different, but related businesses. The company should be applauded for exploring other products. 4. The company is learning and will continue to understand that certain geographies will never be penetrated. At least right now. 5. Continuing issues related to management and culture must be addressed vigorously. 6. Sustainable, healthy, positive operating cash flow is still probably about 2-3 years away. 7. With investor support in private-equity markets, the company might not be in a rush to go public. If it needs cash, it can access it in private markets. That IPO celebration party may still be at least 12-18 months away.